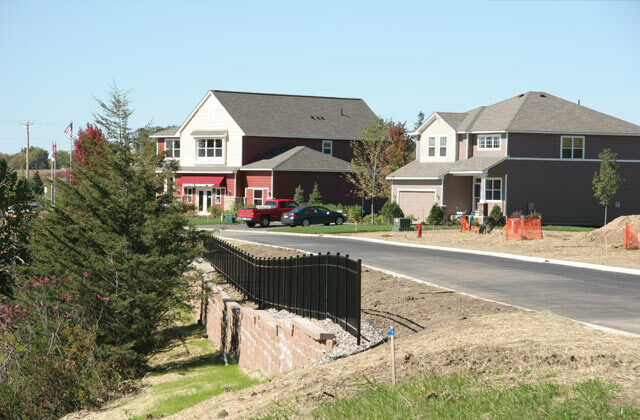 The Spring Creek development is a 76-acre project located in the City of Carver, Minnesota. It consists of 131 single family residential lots and associated detached housing, a trailhead and trail system, linear park area, and a regional storm water retention facility. The site’s location adjacent to the Carver County and MnDOT right-of-way presented challenges but Alliant partnered with the client and the City of Carver to secure timely approval of the development plans. Alliant’s survey group prepared the existing conditions survey and provided construction staking. © 2019 Alliant Engineering, Inc. All rights Reserved.